Twenty one years ago on this day, units of the Bosnian Serb army, the Vojska Republike Srpske (VRS), entered Srebrenica, a city that had official been designated as a “safe haven” by the United Nations Security Council just two months prior, through Resolution 819. Despite this, the lightly armed peacekeeping force put in place to protect the town was quickly overrun. In the ensuing chaos, thousands of the city’s boys and men were rounded up and systematically executed by the Bosnian Serb forces before being callously thrown into mass graves. In addition, tens of thousands of women, children, and elderly members of the Bosniak community in Srebrenica were subjected to abuse and displacement. On February 26, 2007, the International Court of Justice ruled that the atrocities committed at Srebrenica constituted genocide. 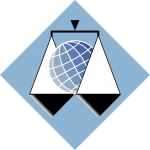 The International Criminal Tribunal for the former Yugoslavia (ICTY), established in 1993, is both the first war crimes court created by the United Nations and the first international war crimes tribunal since the Nuremberg and Tokyo tribunals. Today, the ICTY continues to function as the primary international-level court tasked with the prosecution of individuals for war crimes taking place during the Yugoslav Wars, including the 1995 genocide in Srebrenica. Since it began operations, the ICTY has charged more than 160 individuals for their role in the serious atrocities that took place. In March of 2016, the ICTY formally convicted Radovan Karadžić of 10 of the 11 charges brought against him, including genocide, war crimes, and crimes against humanity. The trial of Ratko Mladić, who commanded VRS troops involved in the atrocities in Srebrenica, remains one of two remaining ICTY cases. The Auschwitz Institute for Peace and Reconciliation joins with the international community and those working to prevent future genocide around the globe to honor the victims of the genocide at Srebrenica. AIPR also takes the opportunity to commend the work of the ICTY and other bodies of international criminal justice that work to prevent mass atrocities by promoting truth, justice, and accountability.